Residents across the Ararat Rural City still have time to share their thoughts on Council’s Draft Council Plan 2017-2021, Draft Rating Strategy 2018 and Draft Budget 2018/19. 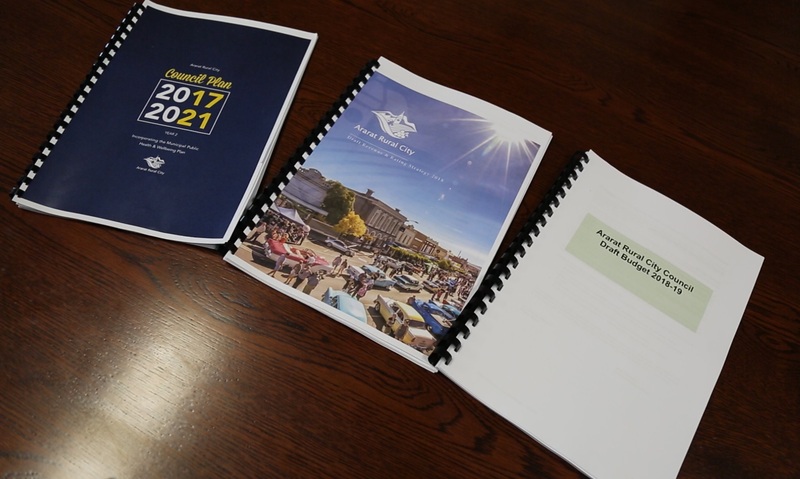 The three documents remain on public exhibition until 5.15pm on Friday, June 8 and are available to view via Council’s website www.ararat.vic.gov.au or at the Municipal Office. A short video presented by Ararat Rural City Council CEO, Allan Bawden, detailing some of the key aspects of the three documents can be viewed here.